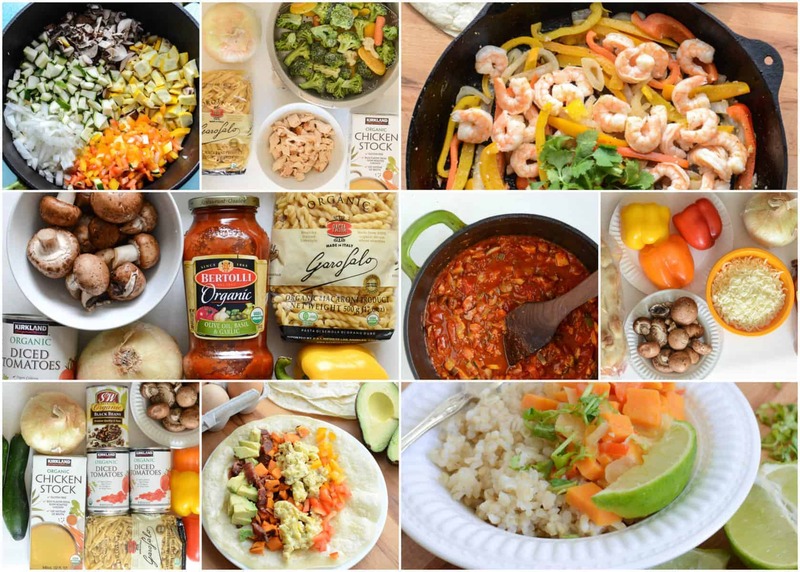 Recipes > Meal Plans > 10 Healthy Dinners from Costco for Less Than $100! 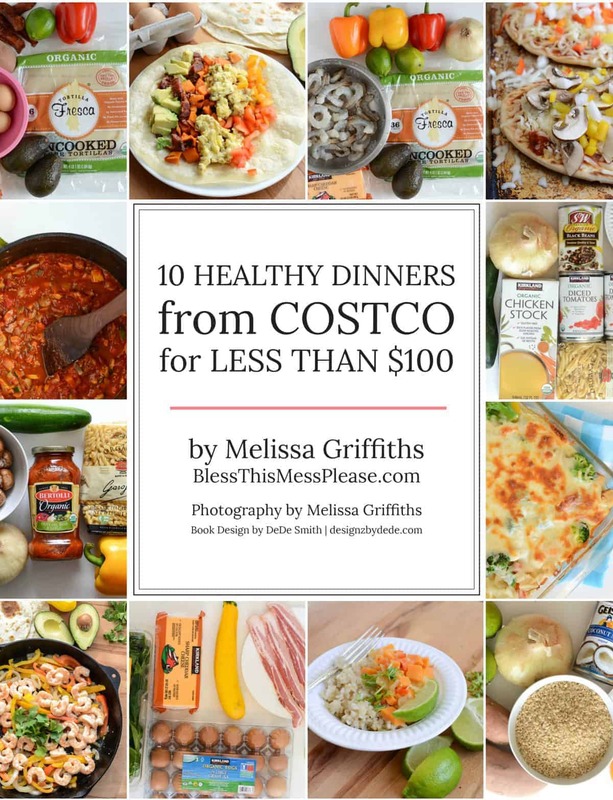 This post has been a long time coming and I’m SO excited to share my newest eBook with you – 10 Healthy Dinners from Costco for Less Than $100! There are few things more wonderful than not having to plan what is for dinner. I’ve planned 10 awesome, healthy, kid-approved dinner ideas for you (which is about 2 weeks worth of meals) and put it all into one simple eBook. These recipes are some of my all-time favorites that I’ve been making for years. You are going to make them over and over again too. What’s for dinner you might ask? This cookbook will answer that question for 2 whole weeks. I did my shopping at Costco and my meals came out at less than $100 for all 10 healthy meals and the portions are family size. Not a Costco member? No big deal, the shopping list and recipes can be made after shopping at your favorite store. Wondering what the price break down looks like? You’ll be eating pasta, fajitas, pizza, curry, and more. 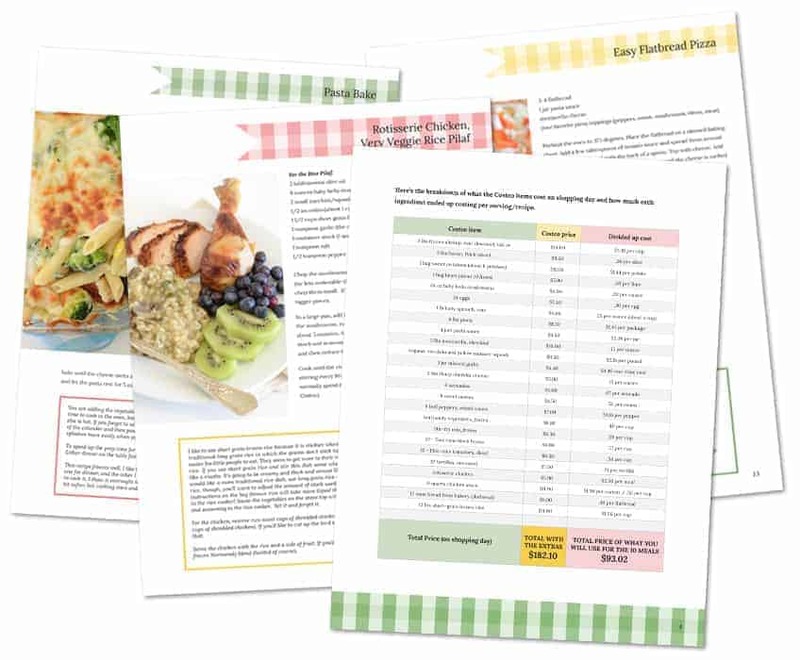 So many great recipes plus a shopping list all ready for you to get busy in the kitchen. I’ve taken all of the thinking out of healthy dinner ideas. These recipes are ones that you’ll be making over and over again, and I’ve shared all of my best tips and tricks about how to get them on the table as seamlessly as possible. Every busy mom needs this eBook in her life. Kid-approved meals everyone will love on a budget? Dreams do come true! I had a group of Bless this Mess readers test out the eBook this spring, and they gave me lots of great feedback to make it even better than what I had done on my own. With their suggestions and feedback it’s truly a great resource. Thank you for celebrating this big milestone with me and don’t forget to buy your copy here! Thank you so much for supporting me and Bless this Mess. I love sharing recipes with you and ebooks too. 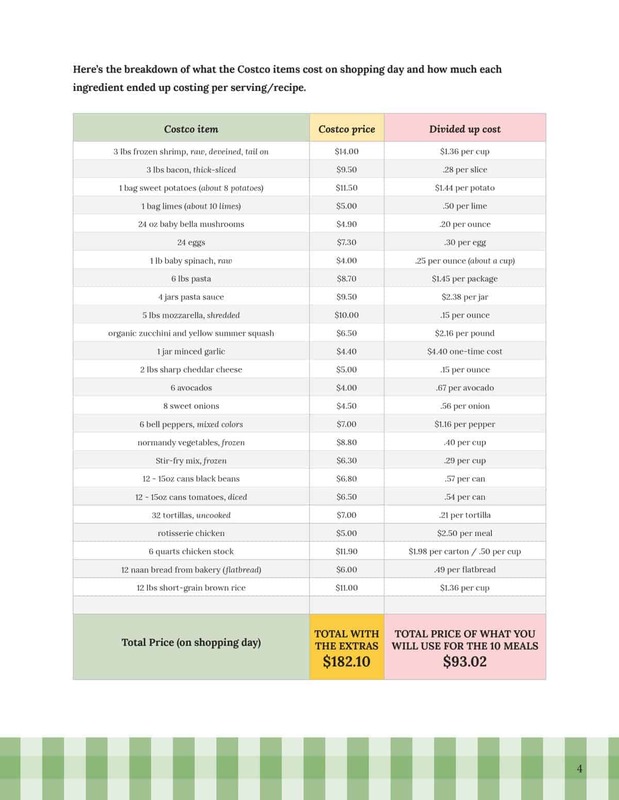 Get your copy of 10 Healthy Dinners from Costco for Less than $100 HERE. PS. Did you know I have a collection of eCookbooks? They include this one, “The Busy Mom’s Guide to Freezer to Slow Cooker Meals,” AND “Real Food for Real Families.” You can get all three books for $19.99 here.